WELCOME TO HAPPY TRAILS, THE FRIENDLY RESORT COMMUNITY! 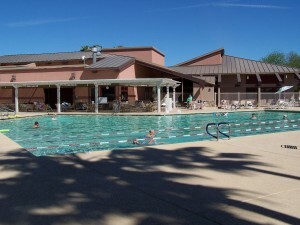 HT is a gated adult-resort community located on the beautiful northwest edge of the sunny Phoenix Valley. 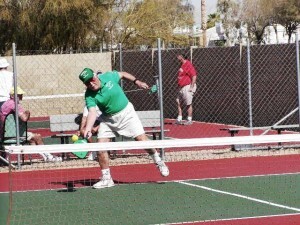 Residents are friendly folks from all walks of life who pursue an active lifestyle. Unique-style homes are available to own or rent, many with golf course and mountain views. 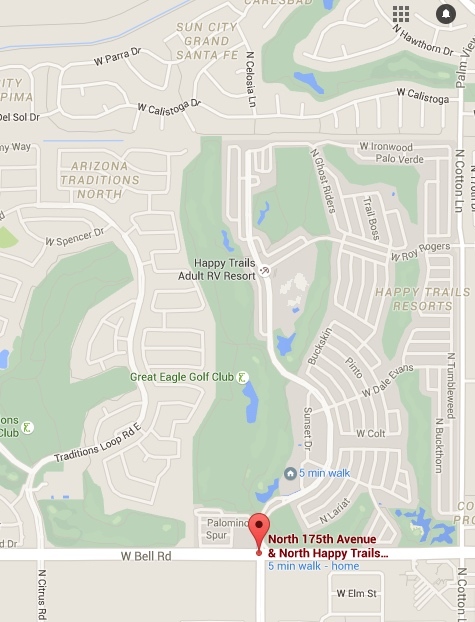 If golf is your pleasure, just drive your golf cart to the adjoining Great Eagle Golf Course, or next door to Arizona Traditions Golf Course or Sun City Grand golf course. 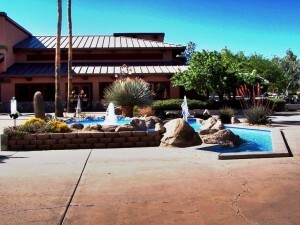 Enjoy meals at the Chuckwagon Restaurant, which is managed and staffed by our residents. Lots of high-quality entertainment is presented each season in a performance center that does double-duty as a ballroom for dances. Like professional sports? Watch your favorite baseball team every March at MLB spring training facilities in Surprise and in stadiums throughout the Phoenix area. You can see the MLB Diamondbacks in season, the NFL Cardinals at nearby State Farm Stadium, or the NHL Coyotes at the Gila River Arena. To round out your enjoyment of Arizona, four-wheel-drive in the nearby desert and mountains, hike the Grand Canyon, see the red rocks of beautiful Sedona, snow ski at the Snow Bowl in Flagstaff, or fish and snorkel in Mexico, all just a few hours away from Happy Trails. Follow your dreams and your interests in warm, sunny and friendly Happy Trails.